The darkest of the Spyefilms, SpyeDark is a dark grey, high-contrast rear projection screen with a wide viewing angle. High in color contrast, and rich blacks are what make this screen exceptional. Engineered to reduce hot-spotting, SpyeDark has a high-tack adhesive great for bonding directly onto glass or acrylic and a protection layer for easy installation. SpyeDark also allows for the use of short throw and off-axis projection. *SpyeDark is sold by the linear inch off a 48" wide roll. Custom cuts are available by request, and larger screens can be created by seaming multiple pieces together. Medium Grey in color, the SpyeSmoke film is the sturdiest of the Spye Diffusion rear projection suite, with a protective release layer on the film for easy application. SpyeSmoke offers reduced hot spotting, and great viewing angles. SpyeSmoke also allows for the use of short throw projection and off-axis projection. *SpyeSmoke is sold by the linear inch off a 48" roll. Custom cuts are available by request, and larger screens can be created by seaming multiple pieces together. A warm grey in color, SpyeGrey film is the widest of the darker films in the Spye Diffusion rear projection suite, offering high contrast, reduced hot spotting, and great viewing angles. SpyeGrey also allows for the use of short throw and off-axis projection. *SpyeGrey is sold by the linear inch off a 60" wide roll. Custom cuts are available by request, and larger screens can be created by seaming multiple pieces together. SpyeFrost is a white translucent rear projection film that offers some light diffusion properties and hot-spotting reduction, and looks like a frosted film when not in use. *SpyeFrost is sold by the linear inch off a 60" roll. Custom cuts are available by request, and larger screens can be created by seaming multiple pieces together. Spyeblack is the darkest diffusion film we carry on a 60 wide roll. Offering high contrast, reduced hot spotting, and great viewing angles. SpyeClear is an almost transparent rear projection film that provides a bright and clear image when being projected on, and is virtually see-through when the projector is off. *SpyeClear is sold by the linear inch off a 60" roll. Custom cuts are available by request, and larger screens can be created by seaming multiple pieces together. GlassMovie, our highest quality diffusion film, is dark grey in color and provides the highest level of ambient light fighting properties within our diffusion rear projection suite. GlassMovie also offers the added benefit of superior viewing angles (up to 100 degrees) from both the front and the rear. GlassMovie allows for the use of short throw and off-axis projection. This is one of the few films that offers a bright picture. **The film is sold by the linear inch off a roll that is 48". Custom cuts are available by request, and larger screens can be created by seaming multiple pieces together. Widely considered the best projection product on the market, Vikuiti Rear Projection Film's almost black patented optical technology focuses projected light while absorbing ambient light, providing superior contrast, 180 degree off-axis viewing, and accurate color reproduction. The film is sold by the linear inch off a roll that is 47.24". Custom cuts are available by request, and larger screens can be created by seaming multiple pieces together. **Please note that the projector must be within 15 degrees of center, and short throw projectors or lenses are NOT compatible. SpyeFront is a backed front projection film that boasts (up to 7X) higher brightness compared to standard matte white screens while maintaining a wide viewing angle. This material can be framed, or applied directly to glass, acrylic, or even drywall. It comes with or without an adhesive backer. Custom framing options are available to deliver the finished look you are looking for. 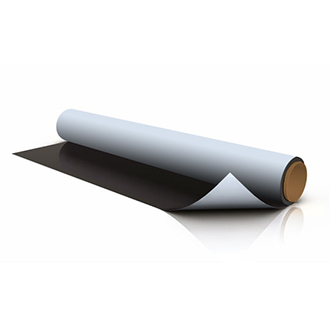 *SpyeFront is sold by the linear inch off a 60" wide roll. Custom cuts are available by request, and larger screens can be created by seaming multiple pieces together. ©2018 SPYEGLASS. ALL RIGHTS RESERVED.